Dana Point, the picturesque gateway to Southern California, is a place where laid-back beach vibes and luxury meet in one idyllic surf town. 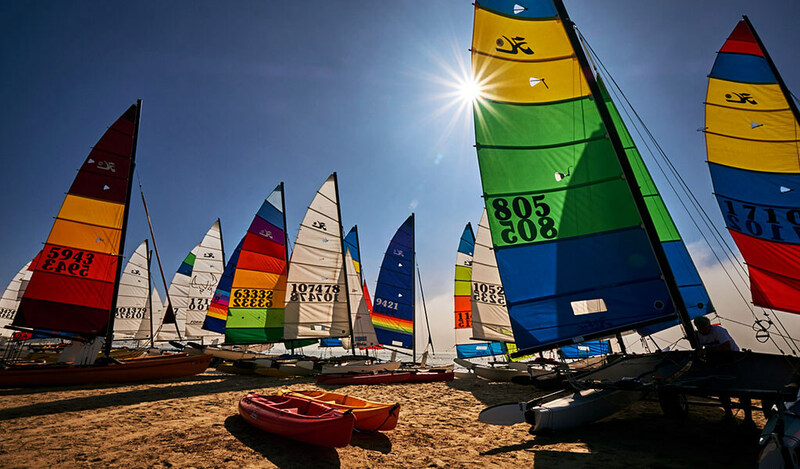 Whether you decide to get to Dana Point by car, plane, train, boat or bus, Dana Point offers visitors year-round access to its pristine beaches and seaside resorts. Nestled directly between Southern California’s largest cities – Los Angeles and San Diego – this Orange County destination can be easily accessed from several major airports. I-5 is the primary north-south route through Orange County and passes through the eastern portion of the city, making getting to Dana Point by car a breeze. State Route 1 begins in Dana Point and continues northwest through the city to other coastal Orange County towns and attractions. Those who prefer to travel by train or bus will be happy to hear that both Amtrak and Metrolink service nearby San Juan Capistrano and San Clemente. From there, you can Uber or take the Dana Point Trolley into town. 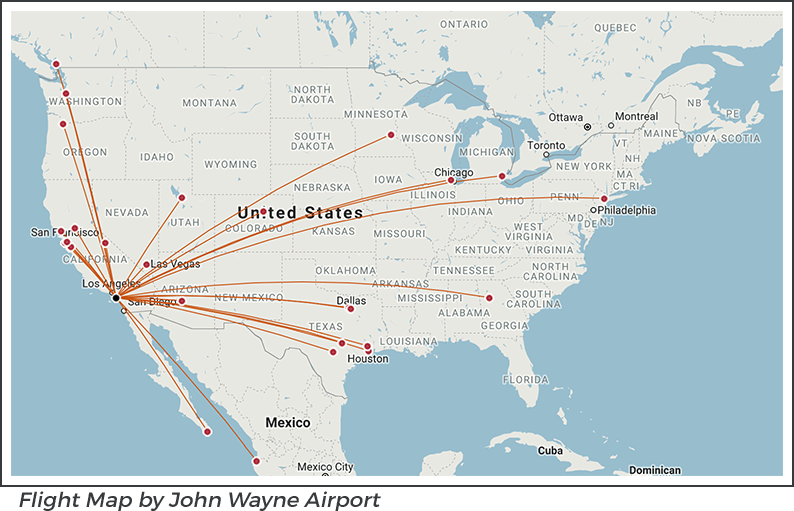 With the recent upgrades to Dana Point’s nearest airport, John Wayne Airport (SNA), and five other airports within 100 miles of Dana Point, it’s never been easier to fly to Southern California. 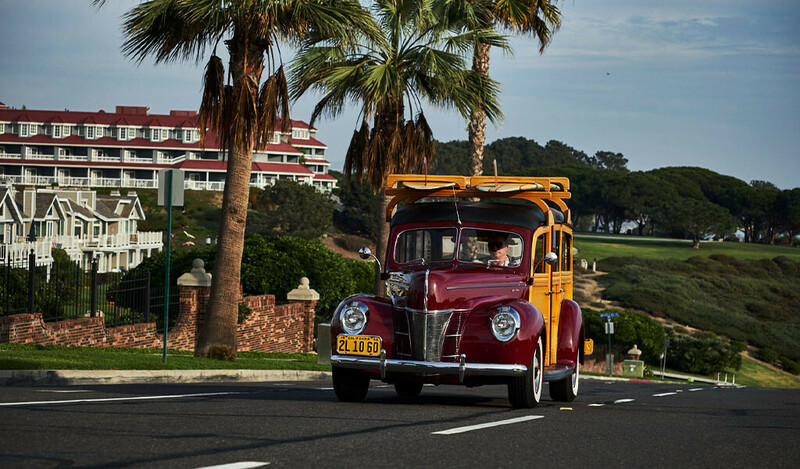 From John Wayne Airport, it’s a nearly traffic-free, 25-minute drive down CA-73 to Dana Point. Most rental car companies tie the license plates to a toll transponder, making it seamless for you to get from the airport to the ocean. No searching for spare change to pay a toll! Easily accessed from north, south and east (hopefully, you aren’t driving from the Pacific Ocean) via the San Diego (5) Freeway or Pacific Coast Highway, directions to Dana Point by car are quick and painless. From Los Angeles: Take the I-5 South to exit 79/CA-1. Once you’re off the freeway, you’ll find yourself almost immediately at Doheny State Beach. Seriously, the ocean is right there when you get off of the exit. From San Diego: Take the I-5 North for 61 miles to exit 79/CA-1 towards the Pacific Coast Highway. Boom! You’re in Dana Point. 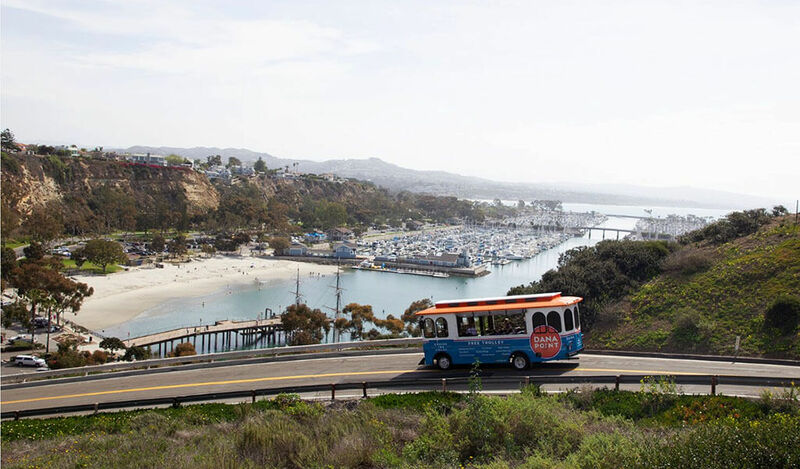 Enjoy the California landscape when you access Dana Point by bus or train. Take the Amtrak and Metrolink to the nearby San Juan Capistrano Amtrak/Metrolink station. This is one of Amtrak’s most unique depots, as passenger areas are housed in vintage boxcars. They sit next to the historic, Mission Revival-style Santa Fe depot built in 1894. You can also get off the train in San Clemente. Both are just minutes down the road from Dana Point. You can easily take a taxi, Uber, Lyft or trolley right down to the beach!